If you ask me what is the first O’slee product that I used before… Well, is O’slee Rosehip Beauty Solution Advance Formula III. This is one of O’slee best selling products. Reviews: This translucent and mild scented solution has multi functions. I use it as my daily toner. It gives extra moisturizing and nourishing plus comes with whitening effect. Wet the cotton pad with O’slee Rosehip Beauty Solution Advance Formula III then wipe across the face and neck day and night. After that you might feel a little sticky, for me its just a little bit sticky because of the moisturizing effect. After that I follow with my other beauty regime like essence and moisturizer and sunblock (for day time). 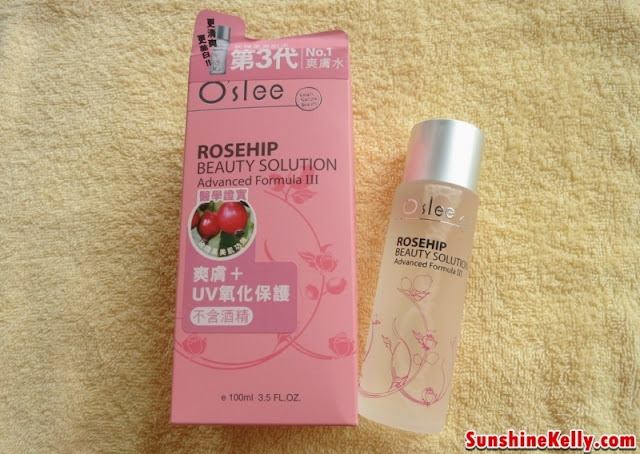 Another way is to use it as mask, just soak the O’slee Rosehip Beauty Solution Advance Formula III on cotton pad or paper mask then place it over face and neck. Leave it for 3 to 5 minutes and removes it. Instantly you can feel the moisturizing effect. This solution is mild and can use it everyday. Plus can use it as body moisturizer just apply this solution all over body after shower. Its absorb faster than body lotion, of course. 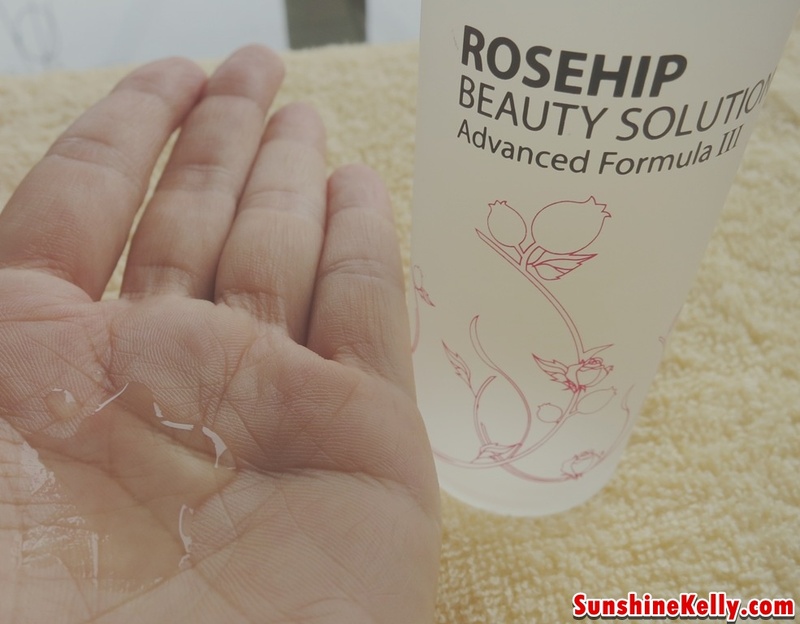 Moisturizing: Increase and retain skin moisture. Regulate the balance of moisture and oil level of skin. Whitening: Reduce pigmentation, spots and make skin translucent white. Pore-Refining & Blackhead Reducing: Promote skin revitalization and minimize pores. 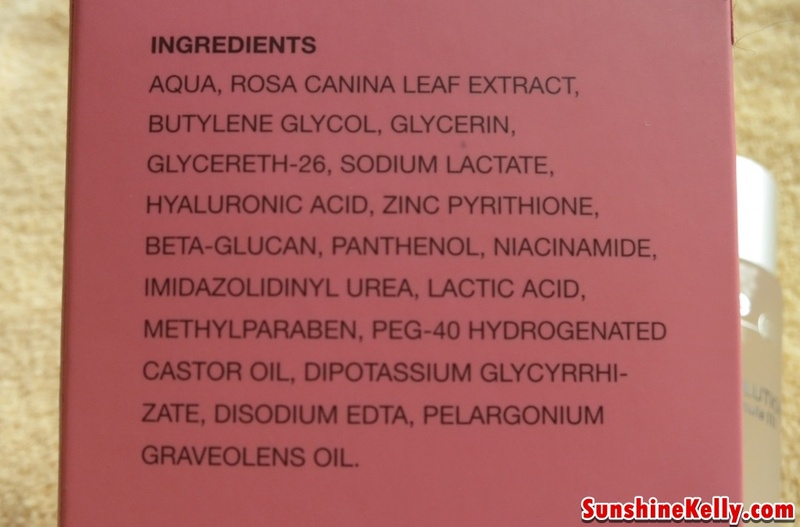 Purify residues and reduce the formation of blackheads. UV-Oxi Protecion: Reduce skin oxidation by neutralizing free radicals produced by UV Rays. Enhance Absorption Ability: Soften and remove corneous dead cells. Optimize skin absorption ability. Mulit-function: Soak a cotton pad with Rosehip Beauty Solution Advanced Formula III and gently place over the face or apply on the whole body after shower. Relaxing: Natural rose scent offers relaxing feeling.